What is a certified "accessible" room? What is a certified "accessible" hotel? Dining rooms, spas and other services may not necessarily be accessible. How is accessibility evaluated and how are tourist establishments certified? Whose responsibility is this? 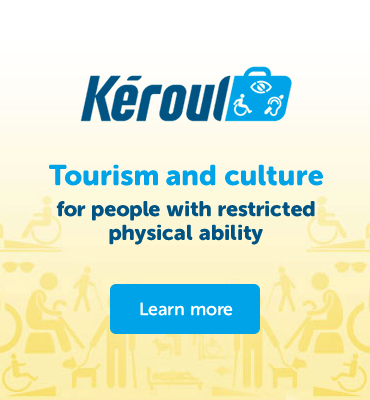 In Québec, Kéroul, an independent and neutral organization mandated by the Ministère du Tourisme, is responsible for evaluating the accessibility of tourist establishments and assigning them an accessibility rating. The evaluations are based on Québec’s Construction Code and the feedback provided by travellers and Kéroul evaluators. Why are not more accessible establishments? While there are still too few accessible establishments, their numbers are growing each and every year. Kéroul wants to provide a quality product and ensure that travelers enjoy a positive vacation experience. Tourist establishments join Kéroul on a voluntary basis. Other establishments have been evaluated by Kéroul but did not receive an “accessible” rating for various reasons. Why aren't all public sites accessible? Tourist accommodation establishments built or renovated after 2001 must comply with Québec’s Construction Code and be accessible. Other types of establishments and services must also be accessible, although unfortunately this is not always the case. That’s why Kéroul works with various organizations and government departments to raise the awareness of builders and site managers. What is the Tourist and Leisure Companion Sticker? The Tourist and Leisure Companion Sticker gives the companion of a person who is at least 12 years old and has a permanent disability or mental health problem free access to participating tourist and recreational sites. Kéroul is the accreditation body for the sticker for travellers from outside Québec. Additional information: 514 252-3104 or infos@keroul.qc.ca. When using transportation, is my companion entitled to free travel? How does this work? Here are the main information about free of charge privilege for accompanying. Click here. I have a disability and would like to travel in Québec. Where can I get more information? A non-profit organization, Kéroul seeks to inform and to represent, develop and promote accessible tourism and culture through Québec for all website, and its magazine. It also has a database with over 5,000 establishments whose accessibility has been evaluated (visit www.keroul.qc.ca). In addition, it works closely with governments and private enterprise to increase accessibility. Are there any travel agencies in Québec that organize accessible group packages? Looking for a travel agent? You can count on the agents who received the Kéroul’s Welcoming Ways specialized training. Click here. Is there any agencies who provide support or care services for people with disabilities? You are looking for support or care services during activities outside the home, tour or travel? Here are some resources to discover. Click here.